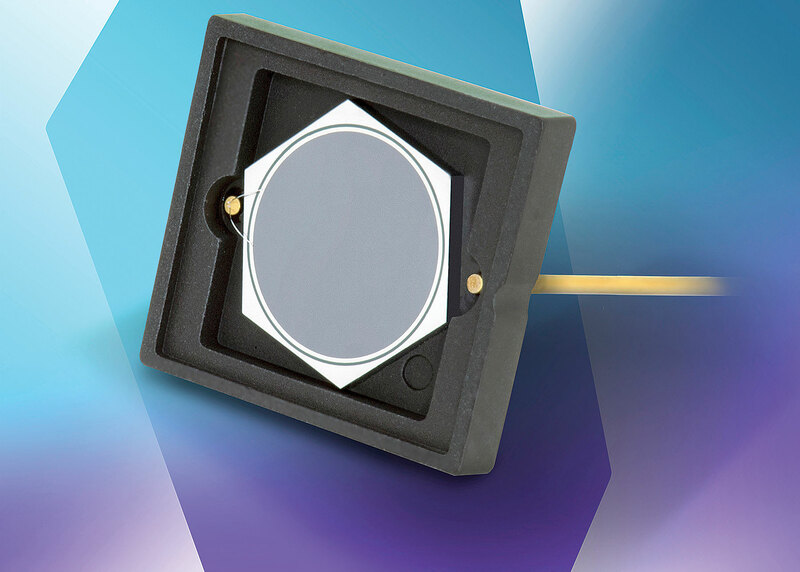 The AXUV20A circular photodetectors can be used for radiation, electron, and photon response in the ultraviolet (UV), extreme ultraviolet (EUV), through visible and near-infrared (IR) wavelength ranges. The circular device, with an active area of 5.5-mm diameter, features sensitivity to low-energy electrons. The AXUV20A photodiode shunt resistance is 100 MOhm, minimum. Reverse breakdown voltage is 5 volts, minimum, and 10 volts, typically. Other features include capacitance at four nF, typically, with a maximum of 10 nF, and a rise time of 2 µsec. The AXUV series of photodiodes exhibit a response to electron energy levels as low as 100eV. Operating and storage temperatures range from –10 °C to +40 °C in ambient environments and from –20 °C to +80 °C in nitrogen or vacuum environments.